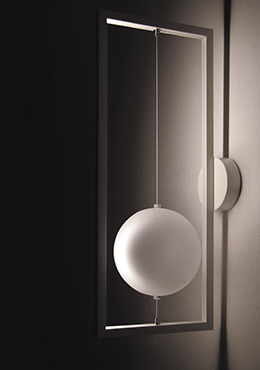 Lamp with indirect light and organic, essential design; the simplest shape becomes light. White glass comes to life through light that enhances its volume and design. Beads of luminous, opalescent glass. Reflections and shadows meet on the translucent surface, giving the setting a lunar glow with softness, grace and lightness.